The seminar also shows you how to operate your GPS – what the buttons do, what the screens show, and how to access the functions you need. A handheld GPS is used as the demonstration model, but all GPS receivers function similarly. By the time you have completed the seminar, you will be able to store waypoints into your GPS, activate them for navigation, and use GPS to keep you on a safe, pre-qualified course of your choosing. You’ll also get some tips for choosing a GPS if you don’t currently own one. 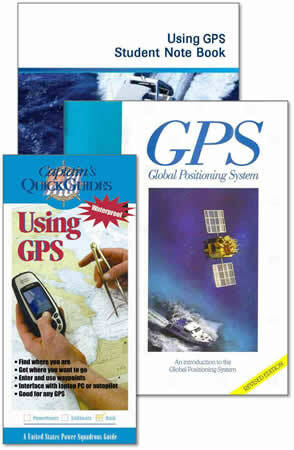 You will get a copy of the USPS GPS Guide and a waterproof McGraw-Hill Captain’s Quick Guide Using GPS to take aboard to remind you of the steps, or to show another of your crew how to use your GPS.